Ch 1 PowerPoints…Spanish Table…Festival Latino! 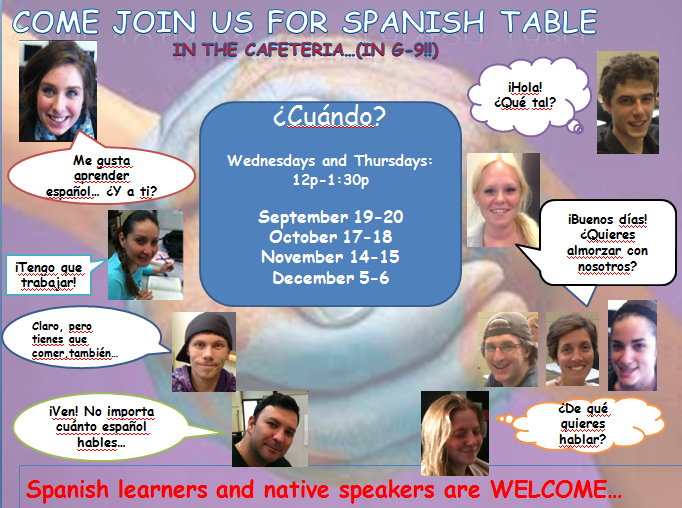 September Spanish Table: today, in Cafeteria G-9! Remember! You must attend THREE out of EIGHT Spanish Tables this Fall…! Bring Spanish-speaking friends and those who want to learn! Bring your laptop, and we’ll play your favorite LATINO MUSIC! 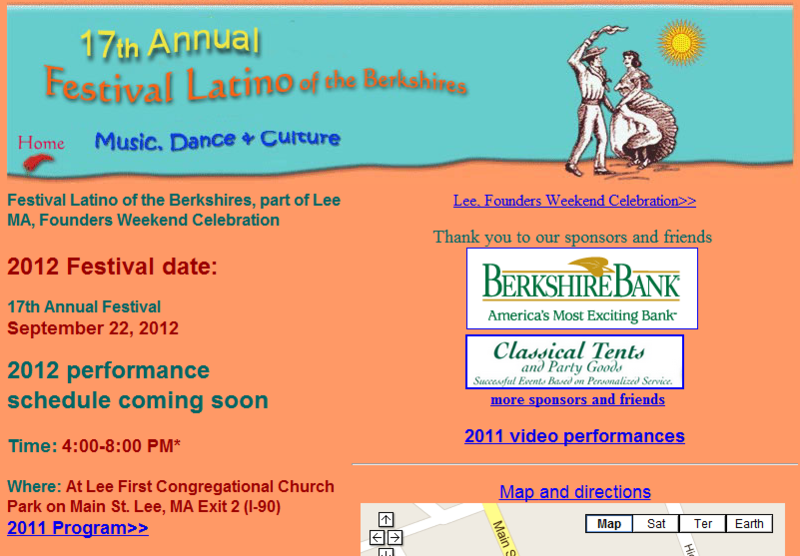 Festival Latino 2012 in Lee, this Saturday, September 22! 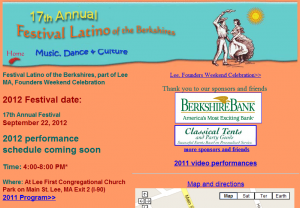 Come to Festival Latino, this Saturday! Make photos of yourself enjoying the festival and send them to Profe! Bring *FRIENDS*! Remember: You earn bonus points for attending! Send Profe a photo of you at the festival! Patrick Meunier created this presentation to help you learn how to introduce people to one another. Download your own copy of this presentation by clicking HERE.